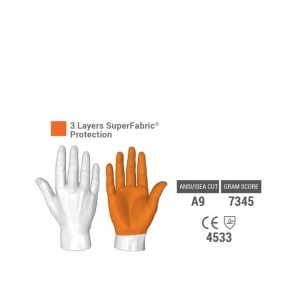 The HexArmor SharpsMaster HV 7082 Needle Stick Resistant Gloves feature the highest needle stick resistance available due to their design and layering of SuperFabric materials and nitrile coating. As well as being extremely needle resistant, the SharpsMaster gloves are also cut resistant to the highest level according to CE standards. 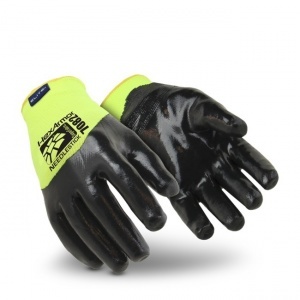 The Sharpsmaster gloves are made from three layers of 'SuperFabric' branded material -, a breathable, durable and lightweight fabric reinforced with an overlay of tiny armour plates. This fabric is then dipped 3/4 of the way in a nitrile coating for extra protection against needles. By design, the Sharpsmaster HV 7082 is comfortable and provides good dexterity but minimal grip. 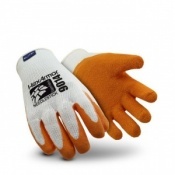 The gloves also have an added anti-microbial treatment which helps them stay fresh. 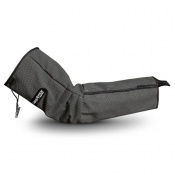 The elasticated wrist helps to ensure and maintain a good fit and protects from dirt travelling into the glove. The nitrile coating can be seen in the image below. These gloves are EN388 Certified Safety Gloves, scoring a 4533 in testing. See below for a breakdown of this testing. Please note that while there is no EN388 specific needle stick resistance test, the Sharpsmaster HV 7082 has been tested using a modified ASTM 1342 standard of puncture resistance using 25 gauge hypodermic needles. 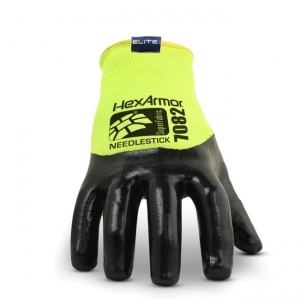 The HexArmor SharpsMaster HV 7082 gloves are highly needle stick resistant and have the benefit of being a single glove solution without the need to wear an inner or outer layer (unless desired). 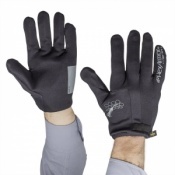 SharpsMaster HV 7082 Gloves are suitable for use in indoors, in dry or wet conditions, although they are more suitable for use in clean working environments. The Sharpsmaster Needle Resistant gloves feature full palm protection to defend against punctures, needles and blade cut hazards. 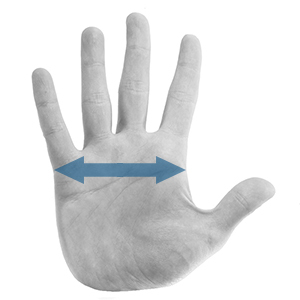 Additional protection areas include fingers, finger tips and sides of the thumbs - these are the areas tested to the levels above. Fiber content - (Lining) 51% Plastic, 30% Polyester, 19% Cotton. (Shell) 70% Nitrile, 30% Nylon.